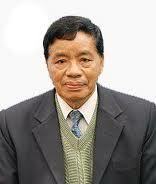 Aizawl, Mar 22 : The ministers of the LalThanhawla government were at a loss of words when Lalduhoma, a member of the Zoram Nationalist Party (ZNP), asked a question regarding tea plantation and the number of tea cultivators in the state. State minister for soil and water conservation department JH Rothuama on Thursday failed to reply to Lalduhoma's query regarding the tea plantation in the state. Rothuama said that his department had not looked after tea plantation for a long time. When some of the members said that horticulture minister H Liansailova was the right person to reply to the ZNP member's query, Liansailova said he was not prepared to answer the question as tea plantation and processing used to be taken up by the industries department earlier. Industries minister S Hiato remained seated and did not offer any clarifications. "According to the Mizoram Government Transaction of Business Rules, 1987, which was amended in 2007, tea plantation was allocated to the soil and water conservation department," speaker R Romawia said. He added that questions like the number of tea cultivators, area of tea plantation and quantity of annual production were never answered in the state legislature.